When it rains, it pours. Immediately after it was announced that Halle Berry had joined the cast of John Wick: Chapter 3, four new characters were confirmed. Alongside Berry's Sofia and, of course, Keanu Reeves' John Wick are Asia Kate Dillon, Anjelica Huston, Mark Dacascos, and Jason Mantzoukas. Dillon will portray the Adjudicator, Huston takes on the role of the Director, Dacascos is set to play Zero, and Mantzoukas will portray Tick Tock Man. The announcement was made on the official Instagram page for John Wick: Chapter 3. Just as additional details on Berry's character aren't yet available, more information about these four new faces hasn't been revealed. We do know that Dillon's character is formally the Adjudicator of the High Table, the underground Greater Scope Villains featured in John Wick: Chapter 2 that's comprised of a council of 12 crime bosses plucked from a selection of the world's most powerful criminal syndicates. In the sequel, Riccardo Scamarcio's Santino D'Antonio aimed to kill his sister, Claudia Gerini's Gianna D'Antonio, and take her seat at the High Table. Fans will recognize Dillon from her work as Brandy Epps on Orange Is the New Black and Taylor Mason on Billions. A silver and small screen legend, Huston holds credits in films like Prizzi's Honor, A Love Story, The Grifters, Crimes and Misdemeanors, Manhattan Murder Mystery, The Royal Tenenbaums, The Life Aquatic with Steve Zissou, The Addams Family, and Addams Family Values, as well as on TV series like Lonesome Dove, Huff, Medium, Transparent, All Hail King Julien, and Trollhunters. Dacascos has served as the Chairman on Food Network's Iron Chef America, has appeared as Wo Fat on Hawaii Five-0 and as Robert Giyera on Marvel's Agents of S.H.I.E.L.D., and competed on season 9 of Dancing with the Stars. Mantzoukas is best known for his performance as Rafi on the FX comedy series The League, but he's also held roles as Omar Ali on Enlightened, as Dennis Feinstein on Parks and Recreation, as Adrian Pimento on Brooklyn Nine-Nine, and as Derek on The Good Place. Mantzoukas' film credits include Sleeping with Other People, They Came Together, and Conception. Additionally, three stars have been confirmed to return for John Wick: Chapter 3: Laurence Fishburne as the crime lord known as the Bowery King, Ian McShane as the New York Continental Hotel manager Winston, and Lance Reddick as the Continental's concierge Charon. They'll join Ruby Rose as the mute assassin Ares, Common as Gianna D'Antonio's former bodyguard Cassian, as well as Tiger Hu Chen, Yayan Ruhian, and Cecep Arif Rahman. Here's what to expect from John Wick: Chapter 3: "John Wick (Keanu Reeves) is on the run for two reasons — he's being hunted for a global $14 million dollar open contract on his life, and for breaking a central rule: taking a life on Continental Hotel grounds. The victim was a member of the High Table who ordered the open contract. John should have already been executed, except the Continental's manager, Winston, has given him a one-hour grace period before he's 'excommunicado' — membership revoked, banned from all services and cut off from other members. John uses the service industry to stay alive as he fights and kills his way out of New York City." 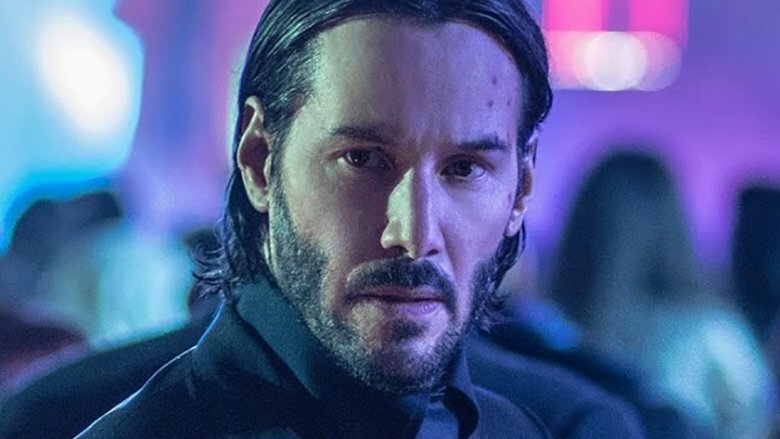 Directed by Chad Stahelski and written by Derek Kolstad, John Wick: Chapter 3 is set for a May 17, 2019 launch.